Chorizo al Vino is a classic Spanish tapa. 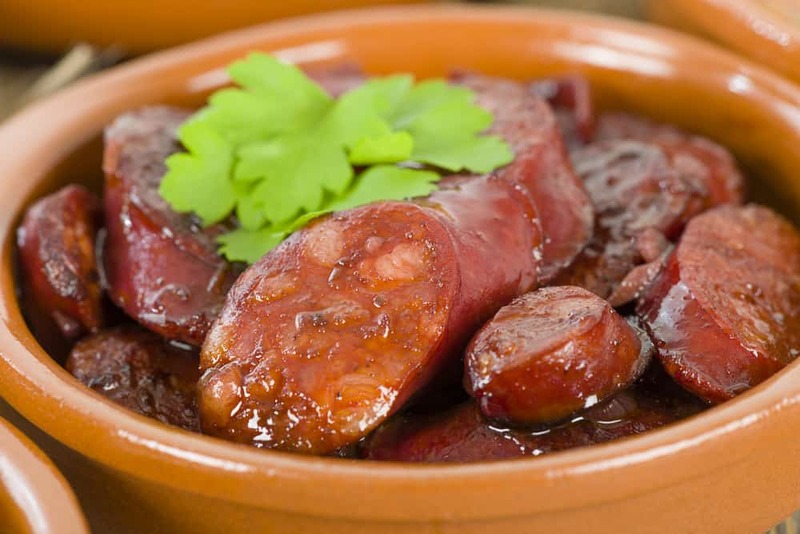 The heavenly combination of the spanish chorizo and red wine heightens the flavor of the chorizo to another level. It’s ease to prepare does not minimize it’s complex and uncomparable taste. A Spanish culinary treasure enjoyed all year long. Preheat oven to 400 F. Next, place chorizo into a roasting pan and pour wine over. Roast for 40 minutes. The red wine should be all but evaporated and the Spanish sausage should be browned and slightly crisp. Cut each chorizo into 3 to 4 small pieces, serve hot and enjoy.